Dave Bedwell - Britains Iron Man of cycling in the fifties. 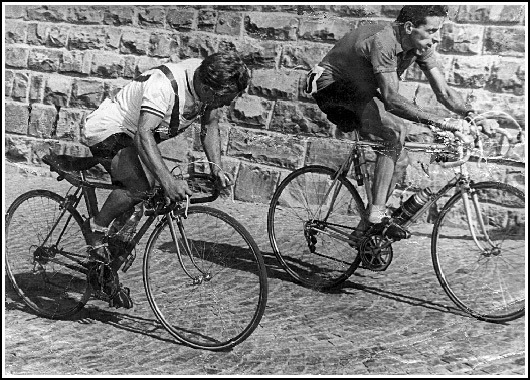 Dave Bedwell alongside Fausto Coppi - 1953 World Championships. 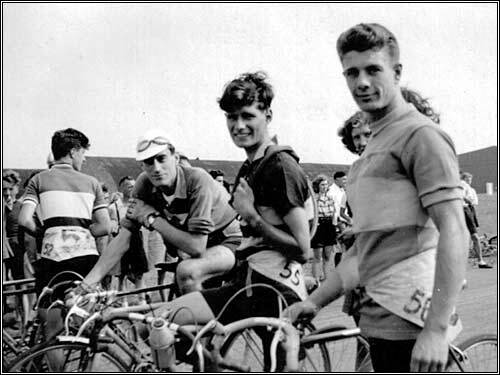 Dave Bedwell - it may not be a household name today, but in the 1950's Dave was probably one of Britains most accomplished racing cyclists and became known as the Iron Man of cycling. Few men can ever boast racing alongside the legendary Fausto Coppi but as the photo above shows Dave was able to mix with the best. 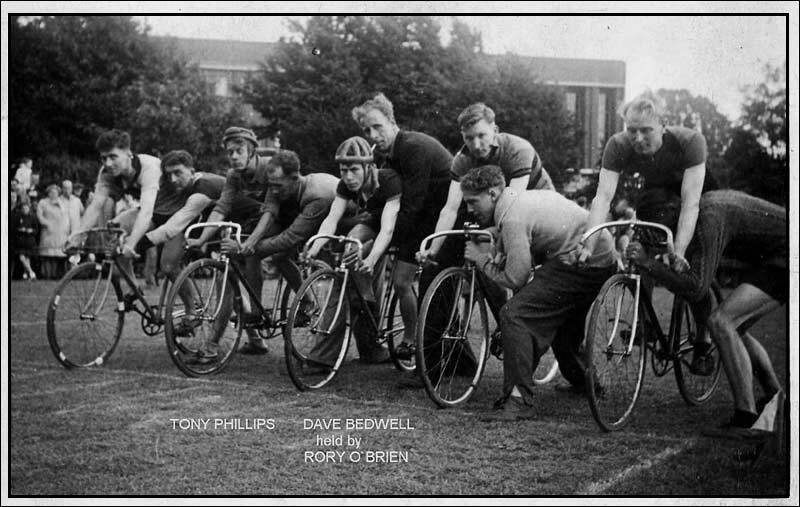 Early days - c1947, a young Dave Bedwell is being held up by Rory O Brien at a Grasstrack event. Location not certain but believed to be Dagenham in Essex. 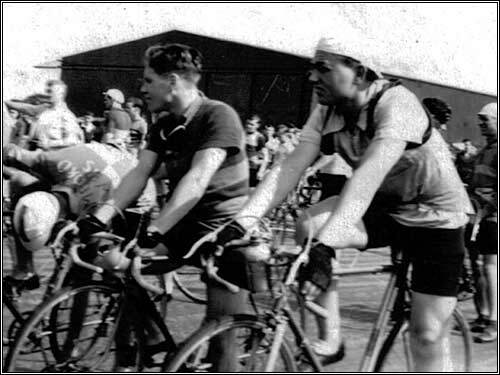 The rider on the left in the hat is Bob Yuill, then Roy Coxon then Tony Phillips, all Romford Whs.members. then comes Dave and then Bob Aris and in the background is Bill Hopkins.